Expanding its relationship with the University of Vermont’s (UVM) Complex Systems Center, Massachusetts Mutual Life Insurance Company (MassMutual) announced today that it is providing $5 million in funding to further advance study and research in the field of data science and analytics. 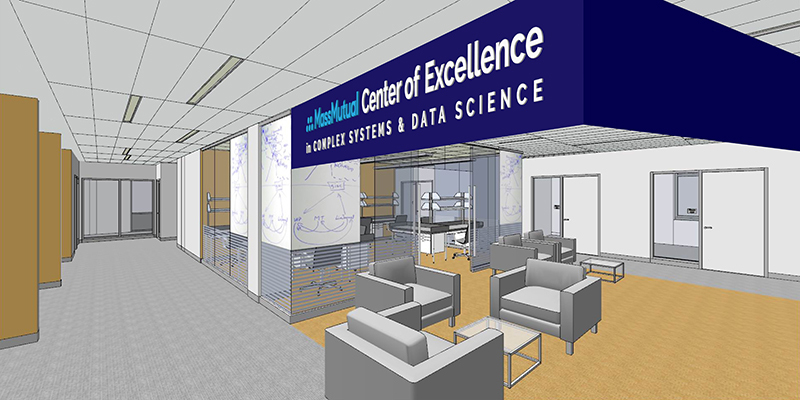 A rendering of the MassMutual Center of Excellence for Complex Systems and Data Science, which will be located in Innovation Hall, set to open in 2019, in the university's new STEM complex. “We are extremely excited to be entering into this next phase of our partnership with the Vermont Complex Systems Center. This is a world class lab at the forefront of improving our understanding of fundamental socio-economic issues through modern, data-driven research,” said Sears Merritt, MassMutual’s Chief Data Scientist, Head of Data Science and Advanced Analytics. The Vermont Complex Systems Center supports data science and complex systems education through interdisciplinary learning, and the Center’s master’s and doctorate level graduates have gone on to work for leading data science teams in the private sector at major U.S. and international companies. 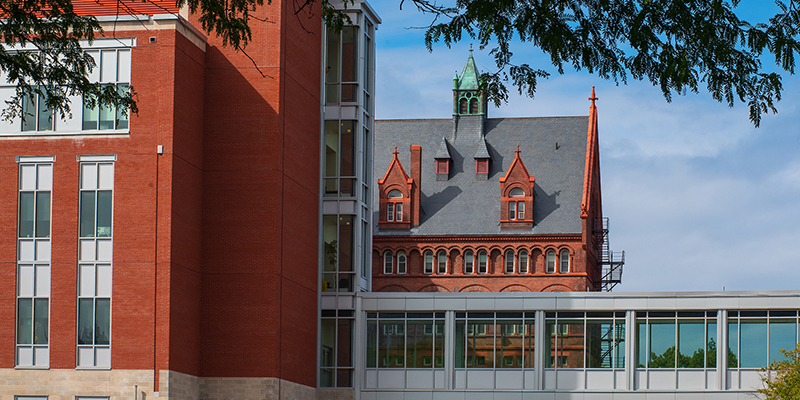 Negotiated with assistance from the UVM Foundation’s Corporate & Foundation Relations office, the data science initiative with MassMutual represents the largest single corporate collaboration with the Center since its inception in 2006. “This significant investment in UVM represents a milestone for us,” said UVM President Tom Sullivan. “Our distinguished faculty and programs are capable of dynamic, large scale partnerships that permit the University to create this Center of Excellence with MassMutual, a company named one of the top fifty most ethical companies in the world. We couldn't have a better partner to share UVM's passion for wellness in this exciting endeavor."